If you haven’t yet heard of influencer marketing yet, you have some catching up to do. Simply put, influencer marketing focuses on those who are influential, as opposed to the target market as a whole. The idea is that, when these individuals promote a brand or product across their fan base, they are able to reach potential customers in a more natural and personal way. It’s a strategy that has grown exponentially in popularity over the last few years. It’s easy to understand the power of influencer marketing. Most of the time, we want what someone else has got. Thanks (in large part) to social media, we live in a comparison culture where you’re only as good as what you own and we’re constantly striving for more. Influencer marketing is clever because it takes the idea of a celebrity endorsement and places it into a modern day marketing context. Influencers (unlike celebrities) can be anywhere or anyone. Their large followings online are what makes them so influential. There are many cynics out there who don’t believe in the power of influencer marketing, or believe it is just an option for global brands with huge marketing budgets. But consider the following, and decide for yourself. A lot of brands don’t understand why they need to use influencers when they can just market to them directly through their own social media channels. Well, what you initially need to understand about that is how much time and effort it takes to build a large, loyal following. Unfortunately, it doesn’t just happen overnight. I’m not saying that you shouldn’t undertake social media marketing as well; however, the great thing about influencer marketing is that you get the benefit without all of the extra work. By partnering with an influencer or staying active on their social media channels to engage with their followers, you get direct access to an audience that they’ve spent time curating and building relationships with. I mean, why spend hours crafting content about your latest product that you know won’t make much impact because of your limited audience on Instagram, when you can collaborate with a local micro-influencer who will showcase your product to their army of followers that want to buy everything that they’ve got? 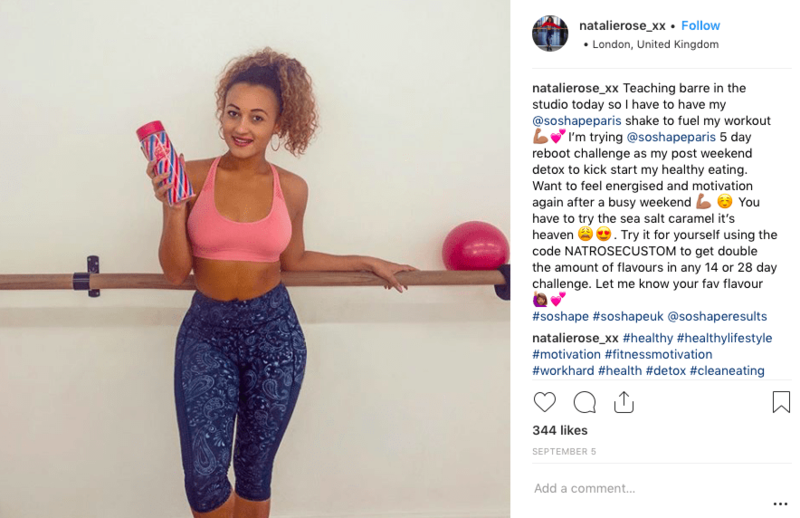 Take, for example, fitness influencer Natalie Rose. 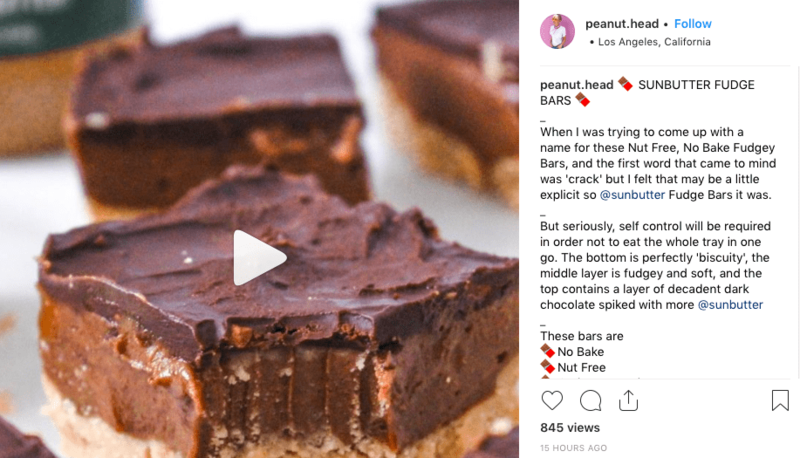 Her partnership with nutritional company So Shape Paris on Instagram extends viewership beyond the brand’s own channel and followers, resulting in hundreds of new meaningful engagements. Working with influencers can also be a lot cheaper and more effective than traditional social media advertising. After all, 90% of consumers trust peer recommendations versus only 33% who trust ads. Whether you’re an influencer marketing friend or fiend, the figures undoubtedly speak for themselves. There is another misconception out there which says you should prioritize content marketing over influencer marketing. Content marketing is a well-known effective marketing tool just like social media, therefore, it’s natural to wonder why you might need to spend more money on influencer marketing when you can simply utilize your own blog or website? I get it, but hear me out. Sure, frequently posting content on your blog or website can reach many people if you have a tight-knit SEO strategy and rank well on good old Google; however, these readers will often sit at the very top of your sales funnel and are unlikely to purchase anytime soon. Whereas, with influencer marketing, it’s been proven that mid-tier influencers with a small yet loyal following can drive up to 16 times more engagement than traditional paid media. That’s impressive. Therefore, your best bet is to seek out an influencer with an active, invested audience both through social media channels as well as their personal blog or website and contract them to feature your product across all mediums. 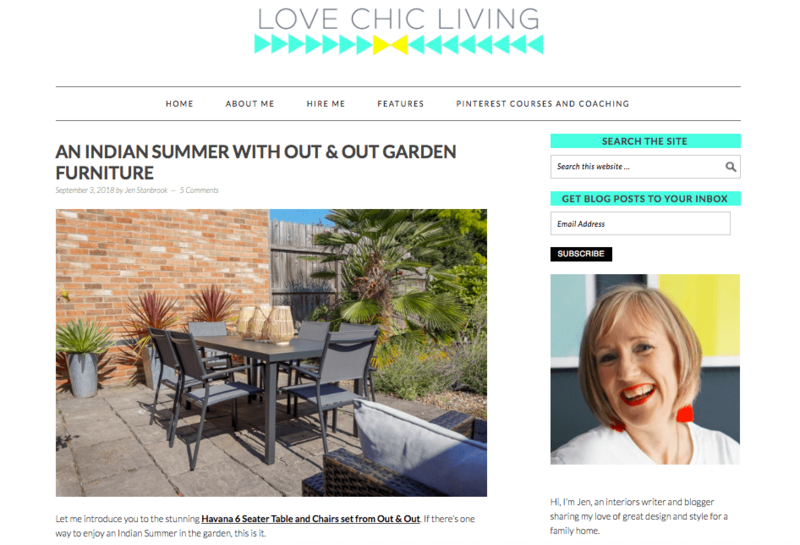 In this example, interior design blogger Jen from Love Chic Living reviews a garden dining set from local homeware company Out & Out in a sponsored post, driving clicks to their website. Remember, nearly 90% of consumers find online reviews to be “very influential” in their own purchasing decisions. And you might just find that these consumers are already further down your sales funnel than if they’d just come across your company blog or website organically. Finally, the only other thing standing in the way of influencer marketing is the general concern for inauthenticity. More than 90% of consumers say that they trust word-of-mouth recommendations over any other type of advertising. However, consumers are smart. They know if an influencer really loves the product that they’re promoting or if they’re just faking it to cash in on the dollar. Think about it: If consumers see a constant stream of social media posts from influencers with hashtags like #ad or #sponsored at the end, they might be a bit suspicious. In fact, they might start to question if they even trust their favorite influencer anymore. That’s why it’s so important to choose your collaborations carefully. Have a strategy in place so that both the relationship with your influencer and the sponsored content feels natural. If you do influencer marketing right, loyal followers are more likely to continue to trust the influencer’s opinion, regardless of whether the post is paid or unpaid. Also, make sure that the influencer in question is a good fit for your brand. Does the individual fit within your brand voice and personality? What about your industry and category? It goes without saying that a food blogger isn’t going to quite match up with a company that sells stationary. This partnership between SunButter and food blogger “Peanut Head” is a picture perfect match. Influencer marketing is not reserved for companies with million dollar marketing budgets. Micro-influencers can be incredibly effective in helping your brand reach small but engaged audiences, across a number of different industries. By being creative and mindful about who you choose, influencer marketing can be an unstoppable tool in your marketing mix. The whole idea of acting in between an influencer and their engaged audience to create the right conversations around your brand and leverage the power of social proof is ingenious. Whether you care to admit it or not, influencer marketing is very much alive and well. In fact, you better hop on the bandwagon (if you haven’t already) because it’s never been more effective in building buzz and promoting sales.